If Graeme Bandeira isn’t chasing a football around the pitch, he can be found chasing footballers around with an ink-loaded mapping pen. 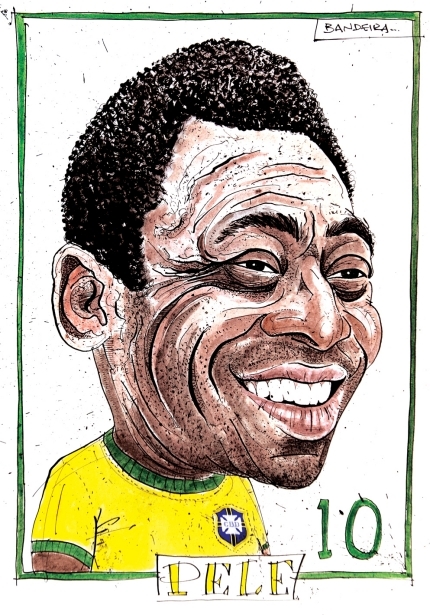 Bandeira’s self-promotional project combines his appreciation of some of the world’s greatest players with his love of pen and ink. This illustrator can draw more than curtains, people. 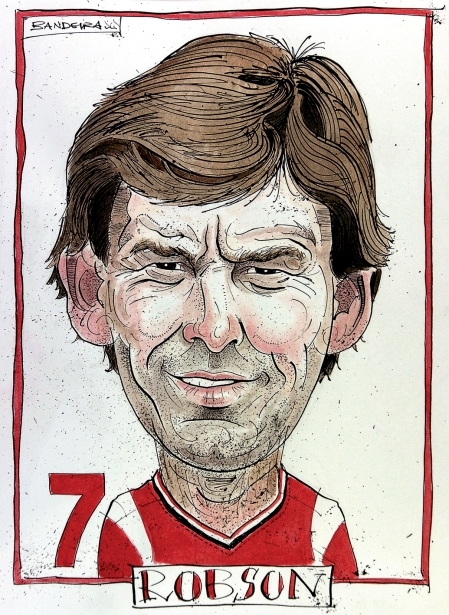 Quirky Middlesbrough-born personality complete with accent thrown in willy-nilly. You’ve been duly warned. 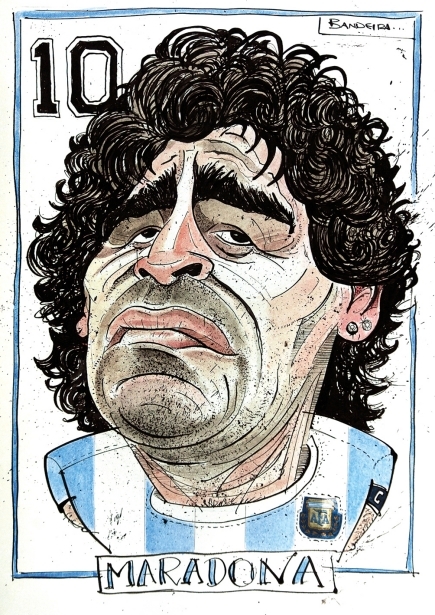 This entry was posted in Art, Illustrations and tagged Brian Robson, Diego Maradona, football, footballer, footballs, Pele, soccer, UK. Bookmark the permalink.